Joshua N. Pedde is the artistic director for the Anderson Area Children's Choir (AACC) and the Indianapolis Children’s Choir (ICC). He became the artistic director of the AACC in 2017. He has been with the ICC for over fifteen years, serving as a teacher, director and assistant artistic director. Mr. Pedde was instrumental in growing the ICC’s Innovations program which provides free music education workshops to public and private schools throughout central Indiana. At the end of the 2015-2016 season, Henry Leck, founder and artistic director of the ICC for ts first 30 years, “passed the baton” to Mr. Pedde, and he was appointed the new artistic director. Mr. Pedde is a frequent conductor and clinician throughout the United States. He has conducted the LCMS Worship Institute Children’s Choir, both the WELS National Worship Convention Festival and Children’s Choirs, numerous Circle the State with Song festivals, the American Hymn Society, the National Conference of Pastoral Musicians, the National Disciples of Christ Conference, American Choral Directors Association (ACDA) all state choirs in Kentucky and New Mexico, Indiana Music Education Association honor choir, and honor choirs and workshops throughout the United States. Mr. Pedde frequently acts as a consultant to churches on Liturgical Worship and Children’s Choir. In 2003 he premiered the work “The Wraggle Taggle Gypsies” by Irish composer Mary McAuliffe at the National Concert Hall in Dublin. Founder and artistic director of the Coastal Song Choir Festival, Mr. Pedde works with singers from across the United States. Ending a week long experience in Savannah, Georgia, and Charleston, South Carolina, festival singers perform on the deck of the USS Yorktown for veterans and visitors to the historic site. Mr. Pedde was the backstage conductor for the premiere of the children’s opera, The Trio of Minuet. He has conducted at Kennedy Center and Lincoln Center. He has conducted at numerous sporting events including the FINA World Swimming Championships, Indianapolis Fever basketball games, NCAA Women’s Basketball Finals, the RCA Tennis Championships, the 2008 U.S.A. Olympic Diving Qualifications, the 2012 World Choir Games, and Super Bowl XLVI. He has traveled throughout Europe preparing and conducting choirs for performances at the Vatican, as well as in England, Italy, Austria, Spain, Germany and Ireland. Mr. Pedde is a member of the National Association for Music Educators, American Choral Directors Association, John Feierabend Association Choral Committee, and Indiana Music Education Association (IMEA). 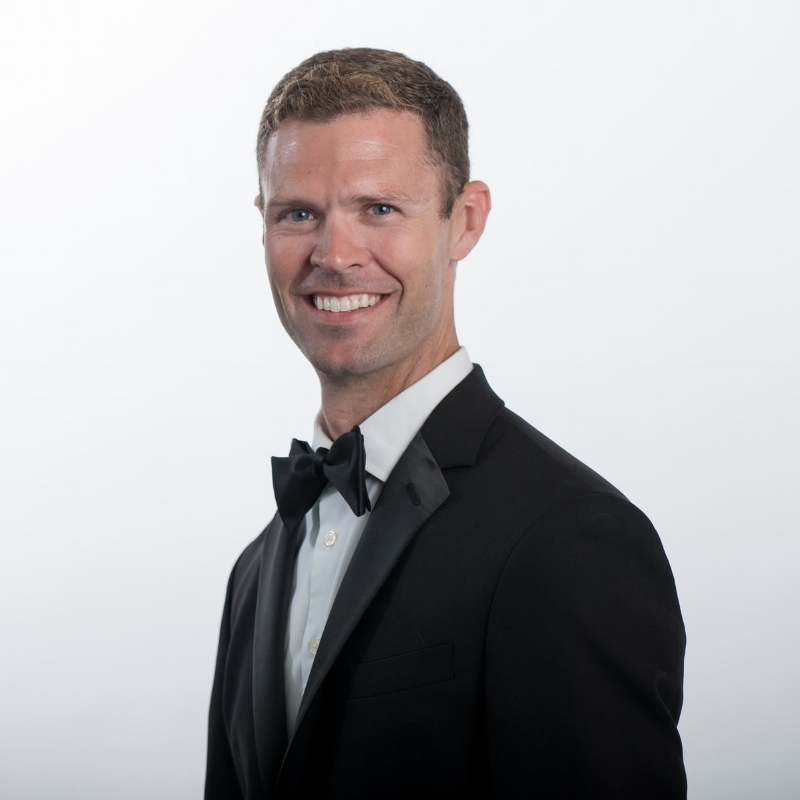 He is also a member of the Indiana Choral Directors Association where he has served on the board and as Repertoire and Standards chair for Boy’s and Children’s Choirs. He also serves as a solo and ensemble and organizational judge for the Indiana State School Music Association and as a clinician for IMEA’s ensembles. Mr. Pedde also serves as chair for the Consortium of Indiana Children’s Choirs. Mr. Pedde serves at Carmel Lutheran Church as assistant director of worship and organist. He is the music director of the Carmel Community Choir and Orchestra. He is a member of the Association of Lutheran Church Musicians, and the American Guild of Organists. He has received training in Orff-Schulwerk, Kodály, and First Steps methods of teaching. Mr. Pedde was an elementary music teacher in the Zionsville Public School system for five year before joining the ICC as a full time conductor. From 2001-2005 Mr. Pedde founded and served as the Artistic Director of the Kokomo Youth Chorale, a non-profit musical organization for singers with changed voices from grades 6-12. Mr. Pedde earned his bachelor of music degree in vocal music education and a master’s degree in choral conducting from Butler University, where he was recognized for his outstanding work in elementary music. In addition, he holds a Director of Parish Music certification from Concordia University Chicago. Amy Hoffman Hughley joined the artistic staff of the Anderson Area Children's Choir in 2017. 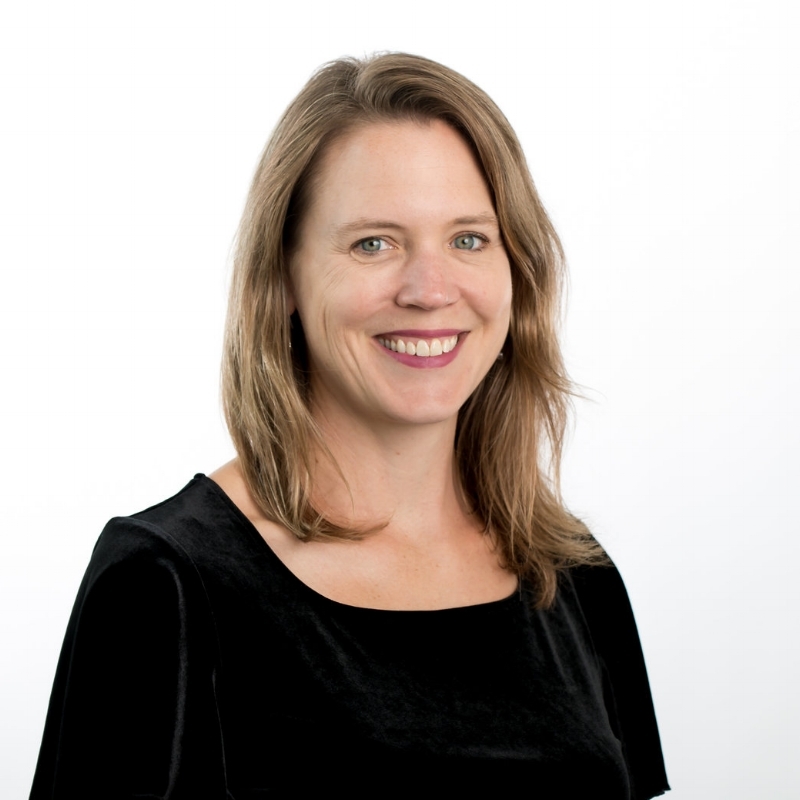 In the fall of 2014 she joined the artistic staff of the Indianapolis Children's Choir as director of Bella Voce, ICC’s high school women’s ensemble. In the fall of 2016, she began her role as ICC’s Associate Artistic Director. Mrs. Hughley also serves as an adjunct faculty member at Butler University, where she teaches Secondary Methods courses to music education majors. In addition, she is a private piano instructor, serving students of many ages and abilities. From 2002 to 2012, Hughley taught choral music at Riverwood High School in Atlanta, GA, where she was named Teacher of the Year in 2011. From 2013 to 2014 she served as president of the Georgia American Choral Director’s Association, and her choral articles have appeared in national and state ACDA publications. Elana received her Bachelor of Science degree in Music Education from Ball State University, and is currently working towards a Master of Music in Music Education from Ball State University. While obtaining her Bachelor’s degree at Ball State, she received the Outstanding Future Music Educator award in 2009. Mrs. Camp is currently employed by Delaware Community Schools where she teaches middle school and high school choirs. She also directs Swinging Sounds, an auditioned group of students that put on an annual musical. Mrs. Camp also taught for Cowan Community Schools for 5 years where she was hired in 2011 as the Elementary General Music Teacher for kindergarten through 6th grade. In 2012 she began a 7th Grade Choir and an 8th Grade Choir. Based on the success of these two groups, the Cowan High School Choir was formed in 2013. She also conducted the Cowan Elementary Choir as well as a chimes ensemble. Mrs. Camp works closely with the Ball State University Music Education department and welcomes numerous field teachers and student teachers into her classroom. She has presented at meetings for the Ball State collegiate chapter of the National Association for Music Education. Mrs. Camp also works as a private vocal instructor. Mrs. Camp has served as the Indiana Music Education Association Middle School Coordinator for the Circle the State with Song Festival in Area 4A as well as the Delaware County Bell Grant Committee representative for Cowan Schools. She has also served as a Festival Clinician for the Indiana Music Education Association and served as an adjudicator at the Raymond Park Middle School Contest Concert. Professional memberships include the American Choral Director’s Association, Indiana Choral Director’s Association, and the Indiana Music Education Association. Mrs. Camp currently resides in Muncie, Indiana with her husband, Benjamin and their son, Dean. Lauren Southard is the Director of Outreach and Choir Programs for the Indianapolis Children’s Choir. Now in her first year with the AACC and tenth year with the ICC in an artistic capacity, her teaching duties include Early Childhood, Preparatory, and Regional Choirs as well as Jubilate, ICC’s choir for children with special needs. Mrs. Southard created the Jubilate program in 2013 as an opportunity to extend ICC’s efforts in reaching all children in central Indiana through quality music education and the pursuit of artistic excellence in choral music performance. Mrs. Southard’s previous teaching experience includes Preschool-8th grade general music at St. Mary’s School in Anderson, Indiana, and Kindergarten-6th grade music at Maplewood Elementary in Wayne Township. Mrs. Southard received her Master of Arts in Applied Behavior Analysis degree from Ball State University in 2016 with a Certificate in Autism. She is currently in the process of completing a Master of Arts in Education in Educational Administration from Ball State University. She graduated with a Bachelor of Music in Music Education from Butler University in 2006, where she was named Outstanding Student Teacher in Elementary Music and received an Outstanding Future Educator award. Mrs. Southard is certified in First Steps in Music, has completed the Orff-Schulwerk Certification Program at Anderson University, and has received Kodaly training from Indiana University. Mrs. Southard has presented at the Indiana Music Educators Association (IMEA) annual convention and the Indiana Association for the Education of Young Children annual conference. She has also presented at the IMEA Council for General Music Fall Workshop and the Chorister and the Church of the Future Conference at the University of Notre Dame on the topic of special needs in the choral classroom, and has participated in Picture Exchange Communication System training conferences. Mrs. Southard also presents musical education workshops to public and private schools throughout central Indiana through the ICC’s Innovations program. Mrs. Southard and her husband Josh live in Whitestown with their sons Finn and Sullivan and daughter Rory. Susan Finger is the Conductor Emeritus of the Anderson Area Children’s Choir and Youth Chorale. Susan received her Bachelor of Science degree in Music Education and Master of Music degree in Church Music and Organ Performance from Ball State University. Mrs. Finger is currently a full time Instructor of Music Education at Ball State University teaching a variety of methods, technique and field work courses. She has been teaching at Ball State since the spring of 2012. Prior to teaching at Ball State, Mrs. Finger taught middle school band and choir for 34 years in Anderson Community Schools. She won numerous awards during her tenure including the Outstanding Alumnus Award from Ball State University’s School of Music, Outstanding Middle School Teacher in Anderson Community Schools, Outstanding Middle School Teacher from the Indiana Middle School Association, Outstanding Middle School Music Teacher from the Indiana Music Educators Association, and Finalist for Teacher of the Year in Indiana. In January, 2014 Susan was name “Hoosier Musician” by the Indiana Music Education Association. This award is given to individuals who have provided outstanding service in music education at the local, state and national level. She was also cited for exemplifying outstanding achievement in the field of music education and showing a life long commitment to the field of music education. While Mrs. Finger was the Artistic Director of the Anderson Area Children's Choir, the Youth Chorale performed twice at the IMEA State Convention. The East Side Symphonic Band performed three times at the IMEA State Convention, the North Central Division of the Music Educators National Conference, and the prestigious Mid-West International Band and Orchestra Clinic. The East Side Chorale performed at the IMEA Convention three times. Mrs. Finger is the Director of Music and Organist at First United Methodist Church in Anderson. She conducts the Sanctuary Choir, Wesley Chorale, King’s Men, plays in the the Wesley Bell and King’s Bells choirs, and oversees all music for the worship service. Mrs. Finger served as the Choral Conductor for the Indiana Ambassadors of Music on three European tours. The choir performed in England, Germany, France, Austria, Switzerland, and Italy. Susan was the Conductor of the Indiana All State Middle School Honor Choir at the Indiana Music Educators Professional Conference in 2012. In January 2013, Mrs. Finger was the guest conductor for the Hillsborough Public School All County Music Festival in Tampa, Florida. Susan has been active in the Indiana Music Education Association for many years. Her roles have included Interim Executive Director, Conference Chair for the state wide conference four times, President for two years, an Officer for six years, and a member of the board for 12 years. She continues to serve as the Chair for the State wide Beginning and Developing Music Teacher workshop in Indiana. Mrs. Finger has served as a classroom supervisor to more than forty student teachers and has worked with many more field teachers and participants in pre-service teacher training. She is frequently called upon to give presentations and clinics to music education students at various universities. Professional memberships include National Association for Music Educators, IMEA, Phi Beta Mu (first woman to be inducted) , Phi Delta Kappa, American Choral Directors Association, Indiana Choral Directors Association and honorary member of Sigma Alpha Iota. Mrs. Finger has been married to Mark for 39 years and they have three grown children. A graduate of Anderson University, Vonda Germany Bowen pursued graduate studies in Music Ed at University of Southern Mississippi. She enjoyed teaching music for many years, writing and arranging original music for her students. In retirement, she is relishing relationships with friends of all ages, playing piano for Madison Park Church of God and for various choirs and events, interacting with her grown children and 12 grandchildren, and bringing cheer and encouragement to others on their life journey. She is enjoying her second year as accompanist for Youth Chorale. Sheryl is the accompanist for the AACC Chorale and has served as a Choir Coordinator in previous years. A native of Akron, Ohio, Sheryl is a graduate of Case Western Reserve University with a B.S. in Mechanical Engineering. She was a Project Engineer for Inland Fisher Guide division of GM for several years and is currently a substitute teacher for South Madison Community Schools. Sheryl is an active member of The League of Women Voters of Anderson, Inc. and enjoys needlework and sewing. She and her husband Tim are the parents of Matthew, Rachel, Sarah and Rebekah, all former singers with AACC.